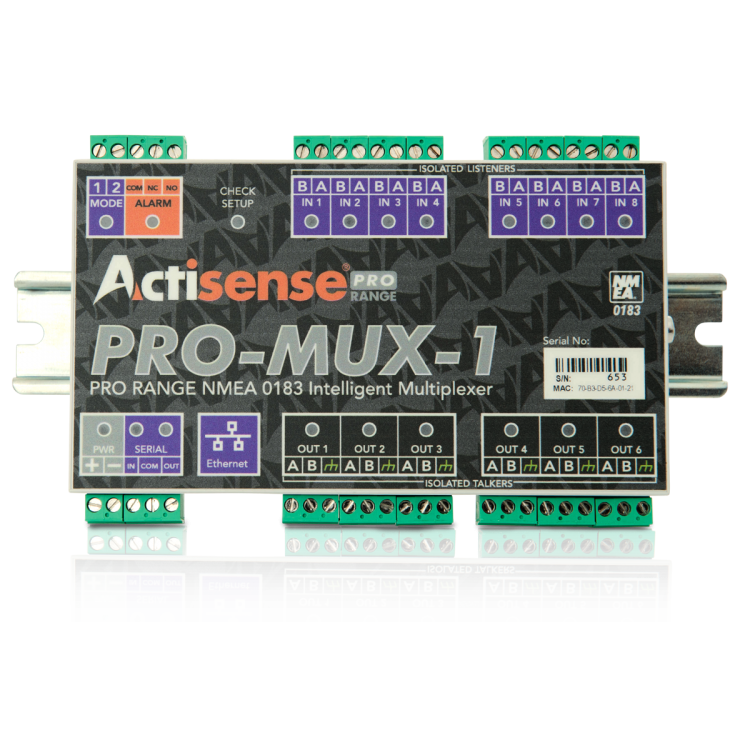 2-part pluggable connectors on the PRO-MUX-1 (screw or screwless terminals available at time of order) mean that new devices can easily be installed without the need to remove the PRO-MUX-1 from its mounted location. 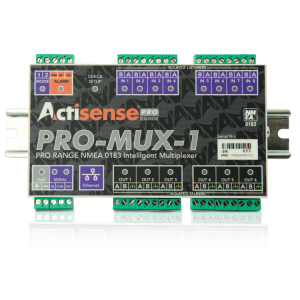 A professional DIN rail mounting mechanism keeps the PRO-MUX-1 secure in high vibration environments. Helpful LEDs indicate power, data in, data out and the alarm status to aid diagnostics.